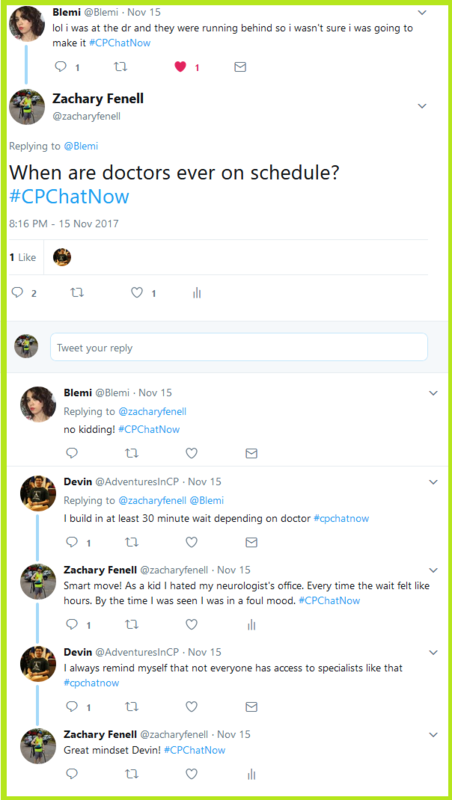 Last Wednesday was a bustling week in #CPChatNow as always. 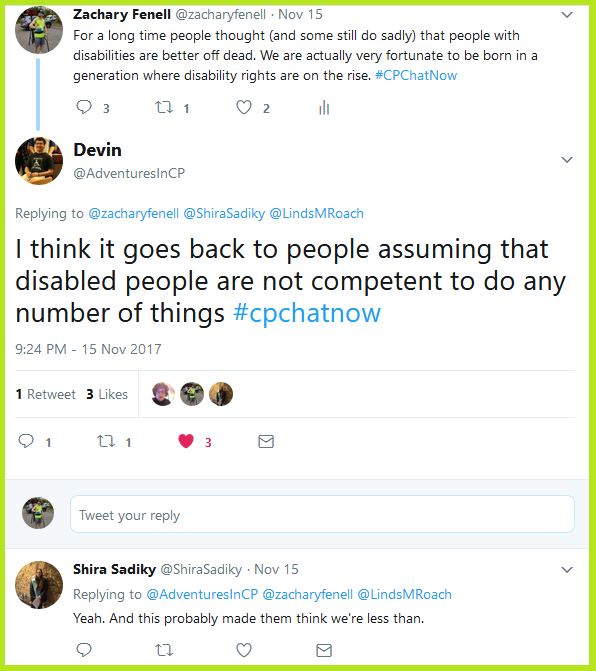 Members discussed Drunk History portraying the fight for disability rights and a discussion on members’ number one life priorities. 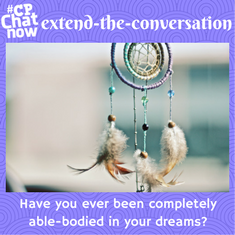 This is #CPChatNow Co-Host, Devin Axtman, taking you along for this week’s recap. 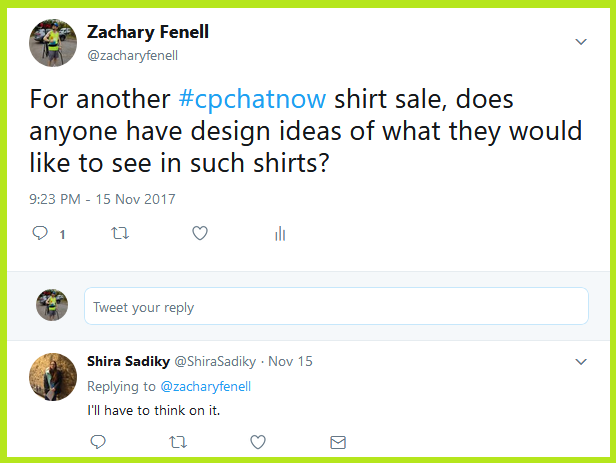 First, we are very excited to announce #CPChatNow’s 2nd t-shirt sale benefiting the Keep On Keeping On Foundation. 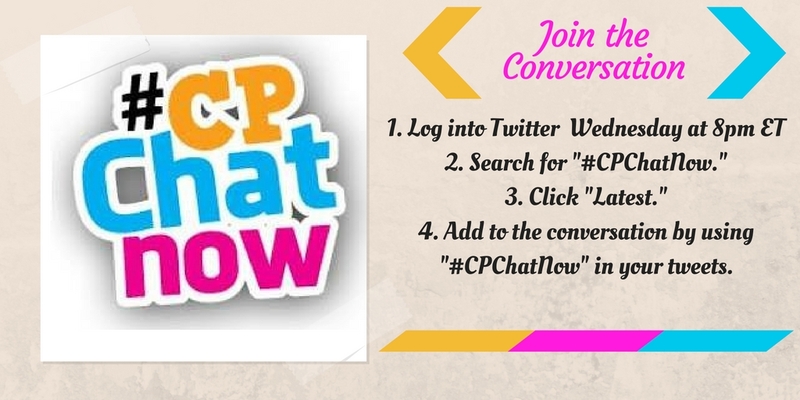 Get your #CPChatNow Community Established December 2013 shirt now! 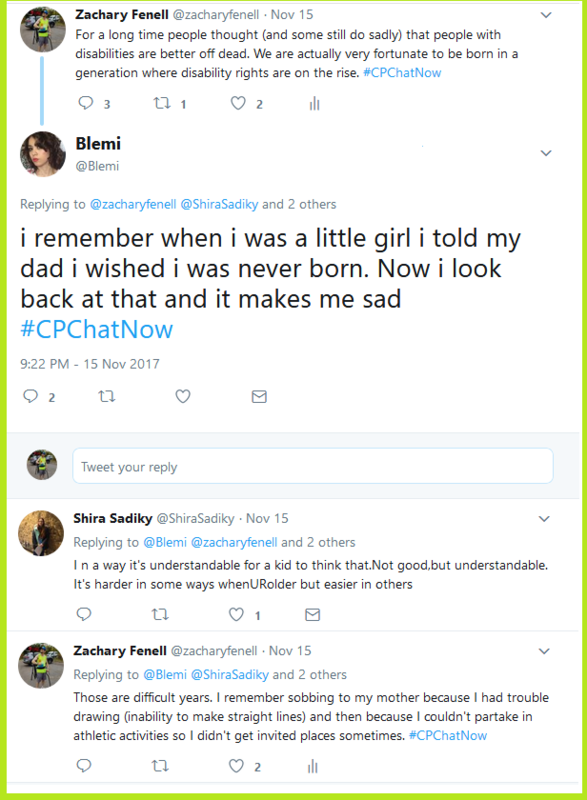 Shira tweeted that she survives by leaning on her support system. Zach agreed this is critical. 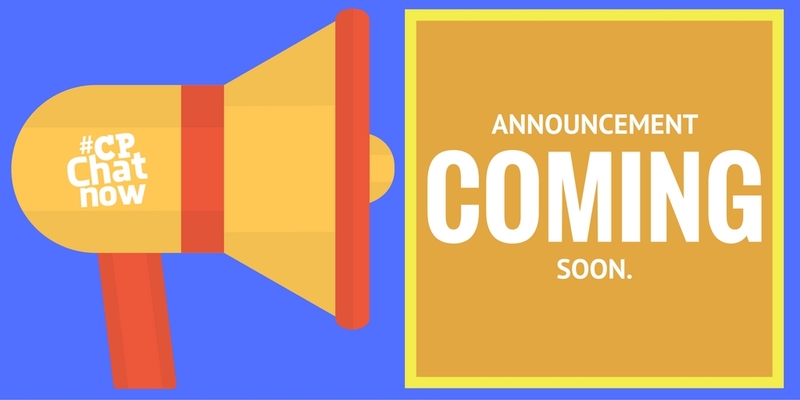 This brings us to our extend-the-conversation question. 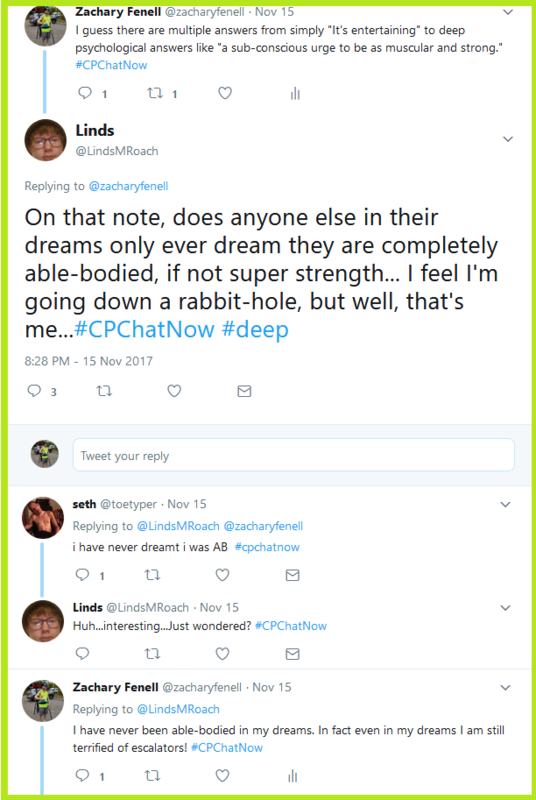 I will add to Zach’s great question: What is your number 1 priority in life and how does CP factor into your priority (if at all)?